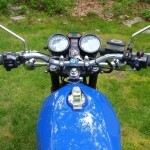 Restored 1977 Yamaha RD400E Motorcycle. 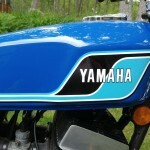 This Yamaha was restored by its owner in the USA. 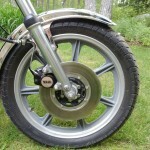 The bike was disassembled and rebuilt with new old stock parts where available. The engine was rebuilt with all new bearings. The seals in the engine and transmission were replaced. A new clutch was installed. The carburettors were cleaned and rebuilt with new jets and floats. The brake callipers were rebuilt. The master cylinder was rebuilt. A new seat was sourced and fitted. The seat pan was replaced. 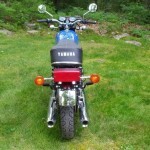 A great restored Yamaha RD400E Motorcycle. 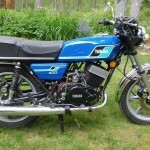 Yamaha RD400E – 1977 For Sale or Wanted? 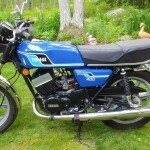 If you're looking for the perfect Yamaha RD400E – 1977 for sale then take a look at the hundreds of restored classic motorcycles listed on our extensive Motorcycles For Sale pages. 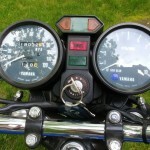 We regularly feature very nice restored Yamaha RD400E – 1977 bikes for sale. 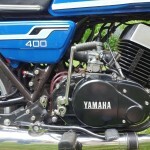 Spares and Parts for your Yamaha RD400E – 1977? 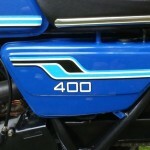 Workshop Manual for your Yamaha RD400E – 1977?